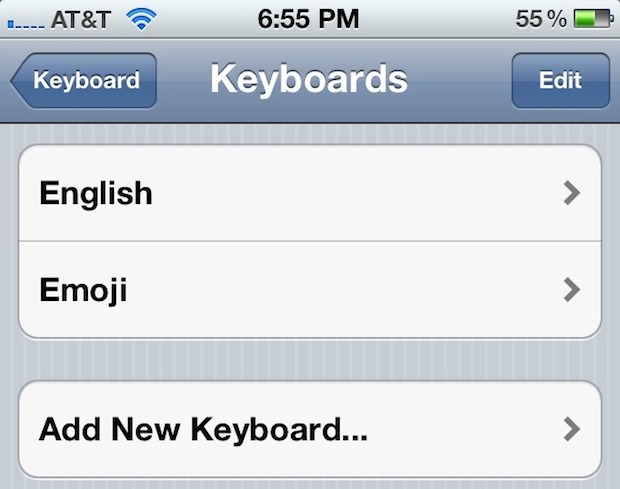 iOS 5 release includes a built-in Emoji keyboard that is accessible to anyone and is not region restricted. This is a change from past iOS releases where you would either need to jailbreak or install a 3rd party application in order to use Emoji from the iPhone, iPod touch, or iOS in general. Heads up to @manda907 for discovering this. Thanks for the giving me props!!! My husband said that they weren’t showing up correctly on his iPhone4 with iOS 4 and I haven’t been able to confirm this yet with any other iPhone buddies. His come through correctly though to mine (of course his was enabled via 3rd party app). emoji doesnt work with recently upgraded operating system to ios5..!!! The globe is working and shows the emoji too.. when i punch in one of those… it shows “null”..
iOS 5? I have them on my old iPhone 3G. They’re awesome!